A: There are two types of inflammation. Acute inflammation is short term, usually triggered by injury, and increases blood flow to the affected area. In this case, an anti-inflammatory compound reduces swelling, fever, and pain. Chronic inflammation lasts longer and is associated with obesity, diabetes, and other conditions. Dietary changes can prevent chronic inflammation with some foods being more potent than other in doing so. "Many foods have anti-inflammatory properties such as kale, cabbage, broccoli, berries, cherries, pomegranate, grapes, tomatoes, onions, garlic, cocoa, mushrooms, turmeric, and ginger," says Joel Furhman, M.D., and author of The New York Times bestseller, Eat to Live. "These foods' phytochemicals are beneficial in many ways, for example, by altering the expression of pro-inflammatory genes, and reducing production of pro-inflammatory compounds." Curcumin, a compound found in the turmeric plant, is one of nature's most promising medicines. According to an article in the Annual Review of Nutrition, curcumin lowers blood sugar, improves cholesterol health, and aids in controlling atherosclerosis. Curcumin may also induce apoptosis, when cells self-terminate, potentially terminating cancer cells in the process. Turmeric is poorly absorbed, so eating it with spices and fats like pepper and walnuts help its absorption in the body. Supp science has made a more bioavailable "super curcumin" by mixing it with more water-soluble substances and making extended-release tablets. To really beat inflammation, however, whole foods are the best. 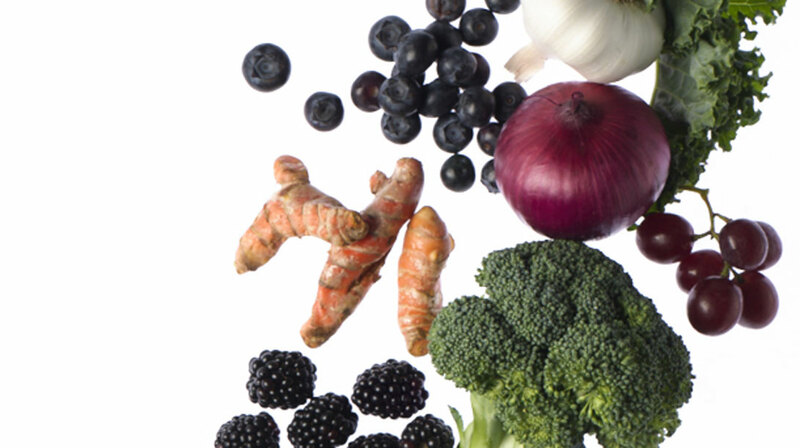 "I recommend a diet centered around G-BOMBS (greens, beans, onions, mushrooms, berries, and seeds), offering a variety of anti-inflammatory and high-antioxidant foods," Fuhrman says. "It's not just one food/spice that provides these powerful properties most effectively, it's the entire diet." Try this delicious smoothie to combat inflammation without meds.